"We Drive You To Drinking"
Hood Canal Brewery opened its doors in September 1996 in an 800 sq. Ft. pole building at the home of Don Wyatt, owner and brewer, just north of Poulsbo, Washington. Don had five years experience in home-brewing and worked at the Thomas Kemper Brewery before its closing. When Kemper's closed its doors, he decided to follow his passion and strike out on his own. 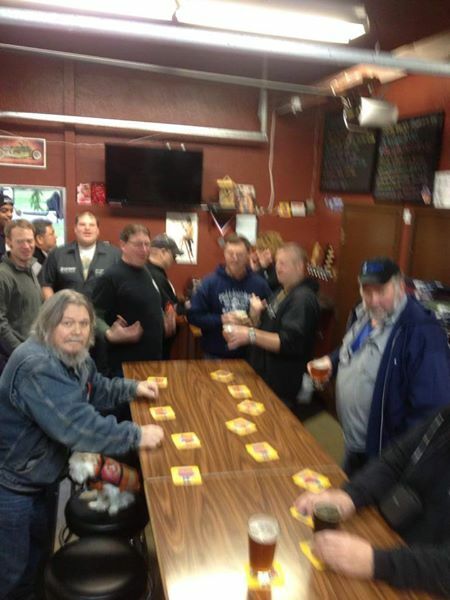 Distribution of Hood Canal Beers started in Kitsap County. He later expanded his sales to the Seattle area via Odom Distributing Corporation, and now he personally distributes to bars, pubs, and grocery stores in Kitsap and surrounding counties. Our Tasting Room is on Bond Road between Kingston and Poulsbo. It's about the ten minute drive from the Kingston ferry terminal or from Poulsbo. Located in picturesque historic downtown Poulsbo, we are a fun, family friendly establishment where you will find an awesome lineup of craft brews from home and abroad...featuring Poulsbo’s own breweries...we call them the “fab four”...and five (yeah, that’s right….FIVE) cask engines to feature the real ales crafted by our brewers for the absolute extreme FLAVOR! Usually featuring NW breweries, you will find an occasional gem that we’ve gotten our hands on from other areas. Valholl Brewery is Poulsbo's newest brewery. Master brewer/owner Jeff is always on site to share his ideas and concepts of good hand crafted beer. Jeff, a former police officer, now has traded his badge and gun for large brew kettles and a pint glass. With more than 10 taps you are sure to find a beer that meets your fancy. Gorst, Washington- The little known town that is home to the ever popular Wig Wam Pub located in Kitsap County. The Locals 'Gathering Place', located near the Sinclair Inlet has a warm and friendly atmosphere and the best BBQ around! The Wig Wam Pub proudly supports Northwest Micro-Breweries to bring you a wide variety and assortment of refreshingly cold frosty beverages. Just around the corner from the Naval Shipyard in Bremerton, WA the Wig Wam Pub was originally built as a log cabin in the 1930's. Last renovated in the 1950's; and left vacant for the past few years, our love for the Wig Wam began when we started the newest round of renovations in 2011, since opening in May 2012, we are proud to serve the many generations of the good, salt of the earth folks of Kitsap and Mason Counties. Wow what a unique place to have a beer. For homegrown, small town, everyone knows your name people like myself, this is your place. 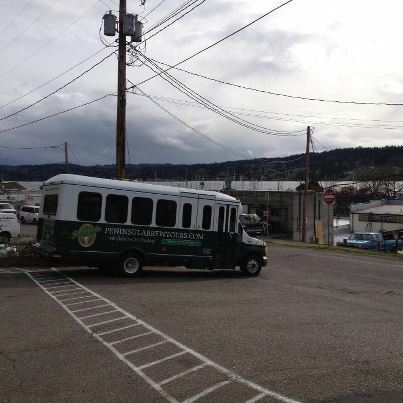 Your trip starts by turning off the paved road just up from downtown Poulsbo. Following a gravel road to farm....Yep farm. The Slippery Pig boasts some of the most unique beer that you will ever taste, including their white chocolate porter. Housed outside on the farm, they have several taps of their own hand crafted beers as well as local brewery guest taps. Patio heaters will keep you warm and any food you bring can be consumed on the premises. This is a must see, must taste, and must take home some brewery. Our tasting room is located inside the brewery complete with all the sounds, aromas, sights and sensations of a working production brewery. Address and hours are in the sidebar to the left. We have up to 11 of our beers on tap for $4/glass as well as non-alcoholic, small-batch Ginger Ale made right here in the brewery. We have snack food such as smoked salmon and cheese from Crimson Cove Smokehouse, cookies from and peanuts from CB's Nuts. If you have a big appetite, you are welcome to bring in food of your own or order something for delivery while you are here. Der Blokken is located in the Manette neighborhood in Bremerton. We brew all our beer onsite and serve European inspired pub food. We also carry a huge selection of beer to go. Stop in and enjoy. Making a great beer requires a combination of art and science. Science, in knowing what the gear and the ingredients can do. Art, in imagining what beer can be. Whether it's excellent versions of classic styles, or boundary pushing experimental brews, we strive to blend the art and science of beer. But beer is also a social beverage. The pub is part of our culture, and here in the Northwest that means locally brewed craft beer. The local brewery is part of the fabric of the community, giving it character, individuality, and indeed, an air of hometown pride. Bainbridge Island is certainly a great place to live, but it's been lacking one thing: our own craft microbrewery. Well, no longer! Bainbridge Island Brewing is the island's brewery, and the island is as much a part of us as we are of it. Located in Downtown Port Orchard, Slaughter County offers great beers both hand crafted onsite as well as featuring guest taps from around the area. In addition the Brewery has some of the most fantastic views offered of the water, ship yard and ferry terminal. Scott, the Master Brewer will more than likely be onsite to talk about some of his well crafted beers.